I'm very excited to create online resources for anyone interested in the New Orleans clarinet style. Detailed courses will get deep into the New Orleans sound, techniques for improvising in the New Orleans tradition, and approaches to ensemble playing. ​For bands visiting New Orleans, ​we organize workshops that combine ensemble coaching​ and one-on-one instruction. Our teaching artists are among the best musicians performing in the tradition today. As frequently as possible, I will be ​creating general content to introduce topics of the​ online courses​. All of my ideas come from ​personal experiences as a professional musician based in New Orleans and my love of the city's history and culture. 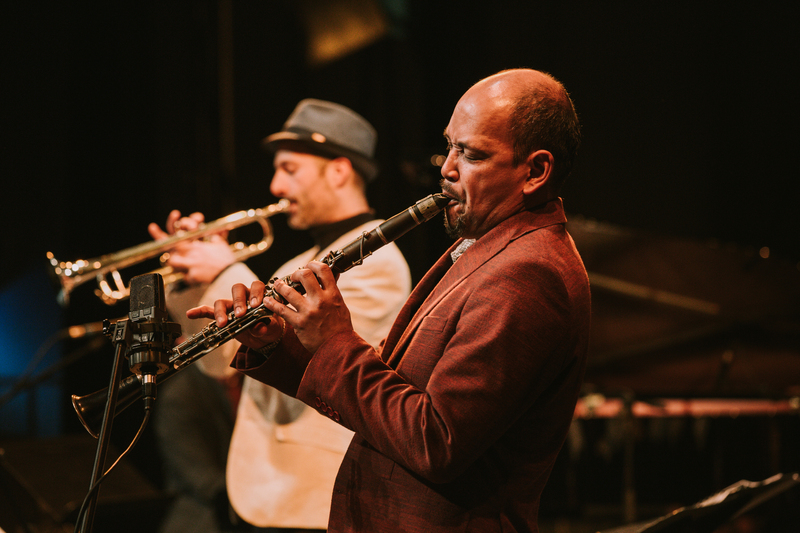 Although the focus is mostly on the clarinet in traditional New Orleans music, there​ will be ​general topics for all musicians, regardless of instrument, skill level or even style. There​ are so m​any ​lessons that New Orleans can teach us! ​For lovers of New Orleans culture, I will occasionally share stories about historic places and people ​​responsible for the city's musical ​legacy. ​Clarinet Road is proud to collaborate with the New Orleans Jazz Museum on a "public domain" music project. ​Together, we ​are ​building a free catalog ​of downloadable songs in the traditional repertoire of New Orleans​. And, when possible, the songs will have ​video ​demonstrations by some of the greatest practitioners ​of the tradition today. Hello NYC, glad to be back! Looking forward to an intensive teaching workshop for NY Hot Jazz Camp. Only one public show while I'm up this week. We're at Dizzy's Club at Jazz at Lincoln Center this Wednesdy. Neal Caine and Darrian Jerrell Douglas Douglas who helped me in January when I was up for Winter JazzFest will join me along with David Torkanowsky and Jon-Erik Kellso. We're sold out for 7:30 but the 9:30 set still has a handful of tables and about 20 non-table seats. Copyright 2019 by Evan Christopher's Clarinet Road.